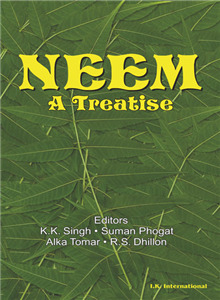 Alka Tomar | I.K International Publishing House Pvt. Ltd.
Alka Tomar is a postgraduate in Environmental Science. She has been working as Dy. Director and Head, Environment Division at CMS Environment, (Research House) Community Centre, Saket, New Delhi. Her area of specialization includes environmental education, natural resource and solid waste management. She also participated in eight month of international training programme on environment education. With nine year of experience in project planning, design and management. She has conducted research to formulate locale specific conversation education, communication and social mobilization strategies. She undertakes outreach programmes for creating awareness among students, teachers, policy planners and also to sensitize practitioners on variety of issues such as uranium mining in Jadugoda, rain water harvesting, climate change, ozone depletion, municipal waste. She has also a number of research papers, Chapters published to her credit in journals and books. She has also four books published to her credit.